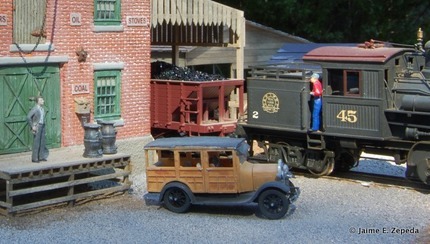 Like many model railroaders, I've always aspired to build a craftsman kit. Especially, I've always aspired to build a crafsman kit from Fine Scale Miniatures (FSM). After years of collecting FSM kits, I've finally built my very first one, FSM Jewel Series no. 14 - Yehuda's Heating Company. Thus, I felt it was appropriate to name this site My Yehuda Experience. Here I will share with you my experience building FSM JS14. I want to present to those that have yet to build their first FSM kit (or any other craftsman kit) the methods, techniques and skills needed to build these kits. So what are you waiting for? Start building!